If you're planning an Orlando getaway that will involve taking in one or more of the central Florida theme parks, smart planning can help you make the most of your travel dollars. The most expensive way to buy tickets is to walk up to the ticket counter the day you want to enter the park and make your purchase there. Shop ahead of time for the best deals and you'll never have to pay gate prices again! Availability of special offers varies and can change at any time. The suggestions provided here are current as of October, 2015. You may find different offers when planning your trip, but these resources are always among the best to check for savings opportunities. 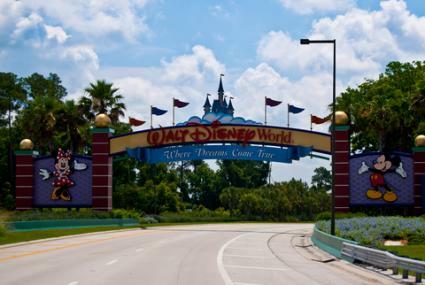 There are several tourism-focused websites specific to Orlando that offer theme park tickets below gate prices as licensed sellers for the parks. You can shop with one of these websites before your trip and have your tickets shipped to your home, or you can pick them up when you arrive. The sites listed here sell tickets for all of the major theme parks in and around the Orlando area. For example, tickets are available for the Walt Disney parks, Universal Studios, Islands of Adventure, SeaWorld, Aquatica, LEGOLAND, Wet 'n Wild and additional water parks in the area. You can also purchase the Orlando Flex ticket through these sites, for below gate price. This combination ticket offers admission to up to six popular parks - five in Orlando (Universal Studios, Islands of Adventure, SeaWorld, Sea World Aquatica and Wet 'n Wild) and one in nearby Tampa (Busch Gardens). Pricing varies depending on expiration date and the number of parks (five or six) included with your pass. VisitOrlando: Self-described as "the official source for Orlando travel," VisitOrlando offers online ticket sales to all of Orlando's theme parks as well as many other attractions. You can have your tickets shipped via FedEx (starting at $15), though free shipping is sometimes offered with a minimum purchase. You can also pick up your tickets upon arrival. Some parks allow for tickets to be printed at home, but you can only do this if every ticket you purchase includes a print-at-home option. Tax is not included on the prices quoted on this site. Discount Tickets Orlando: This site also sells tickets to all of the Orlando theme parks and other central Florida attractions. In addition to offering free shipping (via postal mail) and local pick-up, this site will also deliver your tickets to your hotel for you (for a $10 fee). Tax is not included on the prices quoted on this site. Undercover Tourist: You will also find tickets to all Orlando theme parks and many other local attractions here. Some tickets can be delivered via email. Standard shipping is free and express shipping is available for a fee (costs vary). Local pick-up is also available. Tax is included on the prices quoted on this site, so don't assume that their prices are higher than the others if there is a slight difference. Do the math to be sure. Sales tax is either 6.5% or 7%, depending on which county the park you are visiting is located in (not all Orlando area theme parks are in the city of Orlando). You can save a good bit of money by shopping ahead of time with these sites, typically between $10 and $20 off gate price for each park or Orlando Flex ticket. Special offers vary based on deals offered through the individual sites, as well as the theme parks themselves. Sometimes you may be able to purchase tickets that add-on free days to the number of days' admission you are purchasing and at other times, the real dollar savings is increased. Check each site's website before purchasing tickets to be sure you're getting the best deal available at the time. Note that tickets purchased through these sites are non-refundable. Most of the parks offer discount pricing for online ticket purchases, and annual passes can also represent savings for frequent visitors. Seasonal specials and promotional offers may also sometimes be available. Universal Orlando: You can save $20 off the gate price and receive a coupon book with $150 in savings offers when you purchase multi-day tickets online directly from the resort's website. These park-to-park tickets include Universal Studios, The Wizarding World of Harry Potter and Islands of Adventure. If you're a Florida resident, you can save even more ($45 off gate rates) when you buy tickets this way. Annual passes are also available, with different rates for Florida and out-of-state residents. Both options provide great savings for those who will visit very often. SeaWorld: You can save $10 off gate rates when you purchase your tickets online in advance directly from the park's website. You can save even more by visiting SeaWorld on a week day (up to $27 per ticket) instead of a weekend, so planning your trip to allow for this can really help you minimize your spending. Walt Disney World Resort: Special offers for Walt Disney World admission and vacation packages change frequently. Check the site before finalizing your purchase decision to see if you might be able to find your best deal directly from the resort itself. If you are a Florida resident, you can sign in to your Disney account via the tickets page to see what special in-state offers are available to you. Wet 'N Wild: If you purchase admission tickets to this popular water park online, you can save $10 off gate price. You can also add-on admission to this water park to your multi-day Universal Studios park-to-park passes for a nominal fee. If you are fortunate enough to be a member of an automobile association or corporate discount program, you may have other options for saving money on your tickets. AAA/CAA: Members of the American Automobile Association (AAA) and the Canadian Automobile Association (CAA) can enjoy discount admission to some Orlando theme parks, though as MouseSavers.com points, out, savings opportunities vary by region. You will need to log in to your AAA account or contact your AAA office (see the phone number on your membership card to see exactly what discounts you are eligible to receive. Generally, AAA member discounts are available in the Orlando area at the Walt Disney World Resort parks, the Universal Resort parks, the Sea World parks and LEGOLAND. TicketsatWork: If your company participates in TicketsatWork, you may be able to save money on your Orlando theme park tickets. Discount packages are available for all of the major parks in Orlando, the Walt Disney World Resort parks, the Universal Resort parks, the Sea World parks and LEGOLAND. Even if your company doesn't participate in the program, you may have a friend that works for a participating business. If so, you can ask them to check pricing and purchase tickets for you. Note that it is not a violation of the site's policies for members to purchase tickets for family and friends. Air Miles: If you are a Canadian resident, you can enroll in the Air Miles rewards program. You'll be able to accumulate points as a result of shopping at participating merchants. There is no cost to participate in the program, and you'll gte 25 points just for opening your account. You can multiply your points earnings by getting an Air Miles American Express Card (also available only to Canadian residents). You can trade in your points for free tickets to all of the major Orlando-area theme parks, including the Disney World, Universal Studios, SeaWorld and LEGOLAND properties. Delta SkyMiles Medallion Status: Delta frequent flyers who have earned Medallion status have access to shop with miles via the Delta SkyMiles Marketplace. Among many other items, eligible Delta customers can use airline miles to purchase tickets to all of the major theme parks in the Orlando-area. Options include Disney World, Universal Studios, SeaWorld and LEGOLAND. If you are not a Medallion-level Delta customer, this option is not available to you. SeaWorld: Through its "Waves of Honor" program, SeaWorld allows military members to visit its namesake park and Aquatica free one time per year. Universal Orlando: This resort provides military members with a package that includes three nights of hotel, 3 days of park-to park admission and early access to The Wizarding World of Harry Potter for under $300 per adult. Walt Disney World Resort: Through its Armed Forces Salute program, Walt Disney World provides military members with four-day Park Hopper passes for around $200 per person, with the option to add on water park admission for an additional $35. Military members can also receive early park admission and discounts of as much as 40% off Walt Disney World Resort hotels. Wet 'N Wild: Military members who purchase a single-day pass to Wet 'N Wild can upgrade their pass to cover 14 days (for out of state residents) or a full year for in-state residents. Disney Visa: With a Disney Visa from Chase bank, you can earn "Disney Dream Reward Dollars" for every purchase you make. These rewards can be used at various "Disney Redemption Locations," including the various Disney theme parks and resorts. You'll earn at least one percent of all your purchases toward rewards. When you use your card at gas stations, grocery stores and certain U.S. Disney locations, you'll double your earnings. American Express Membership Rewards: American Express card members have an opportunity to earn membership points for their purchases that can be redeemed for free tickets to three of the major Orlando-area theme parks (SeaWorld, Universal Studios and LEGOLAND). Additional perks may also be available. For example, American Express is "the Official Card of Universal Orlando Resort." As a perk, card members will receive a 10% discount when they use their American Express card to purchase a dining plan at the resort. There are other credit cards that allow you to apply points toward theme park tickets and other travel options. For example, some credit unions (such as Vons Credit Union in California) offer credit card rewards programs that allow customers to earn points toward tickets to theme parks in Orlando. Check out the best travel rewards credit card options to determine which program work best for you if you feel credit card points are the way to go. With so many options available, there is no reason to pay gate price for your admission to any of the theme parks in Orlando. At a minimum, order your tickets online ahead and time to save a few dollars. If you plan ahead, you can save even more by makng use of credit card rewards program. Either way, you'll end up with more cash in your pocket to spend on a great place to stay, yummy meals or souvenirs to bring home from your Central Florida escape!